5.4 MW DC project located in Lake County, IN. 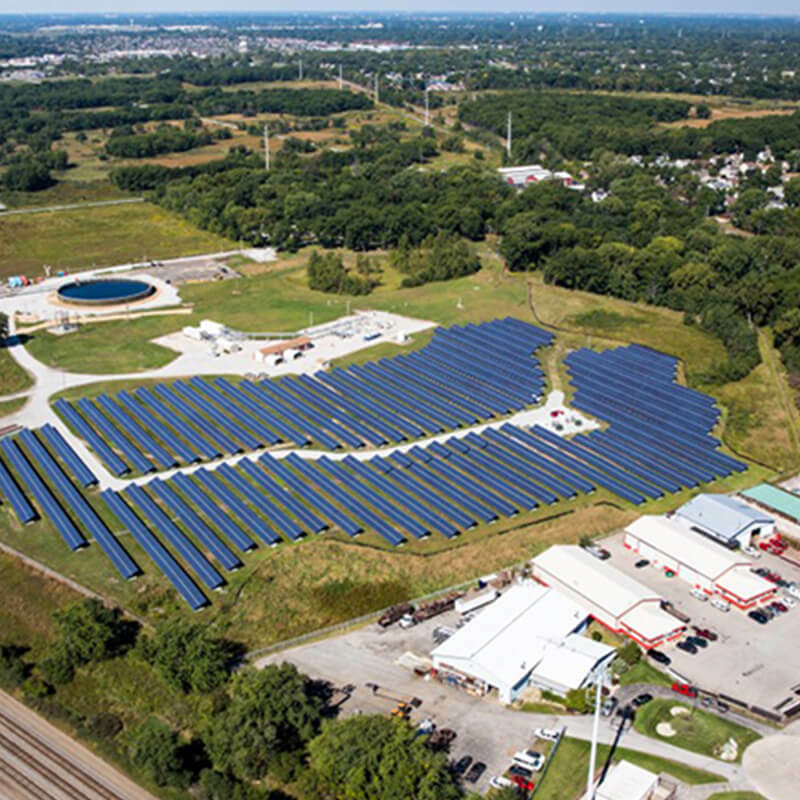 The 2.7 MW (DC) Lake County Solar East Chicago Project is located on an industrial site in Northern Indiana owned and operated by Buckeye Partners, L.P., a leading national energy pipeline and storage company. The array is interconnected into the Northern Indiana Public Service Company (NIPSCO) grid in East Chicago, Illinois. 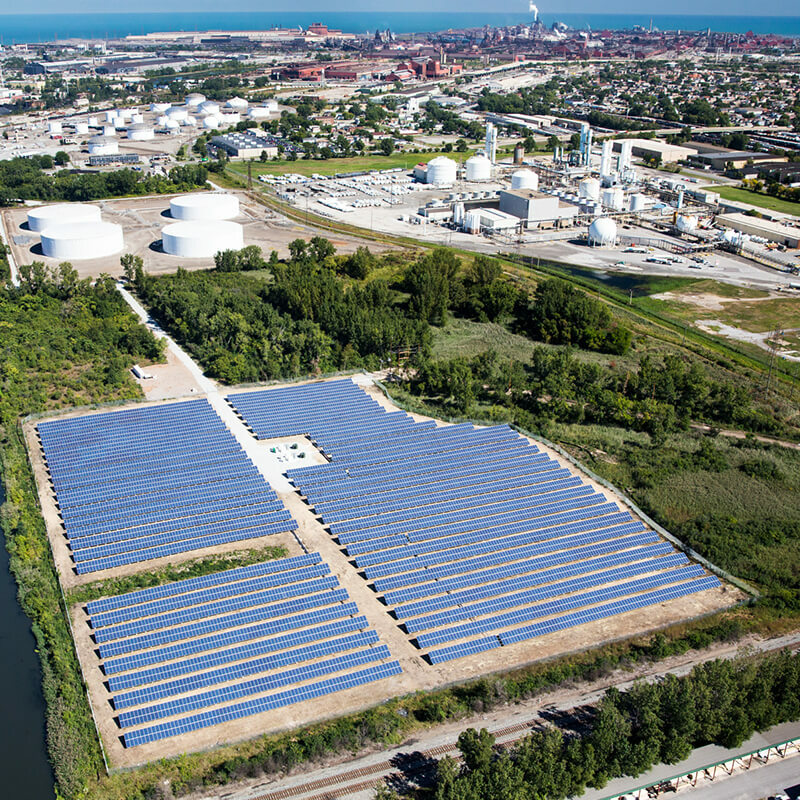 Lake County Solar is enabled by a feed-in-tariff, or guaranteed long term standard offer contract, offered by NIPSCO. Community Energy and Buckeye have entered into such an agreement, which establishes NIPSCO as the both the power purchaser and SREC off-taker. Lake County Solar (East Chicago, IN) has been online since August 2013. The array is interconnected into the Northern Indiana Public Service Company (NIPSCO) grid in the town of Griffith, Indiana. The project sites are located on industrial land. Land that was previously underutilized has now been redeveloped to support the production of clean renewable energy. 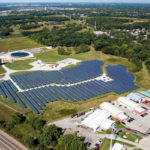 It is expected to produce approximately 3,120 Megawatt hours annually, avoiding 2,615 tons of carbon dioxide emissions each year and the equivalent of removing over 7,410 cars from Indiana’s roads over the 15-year term of the power purchase agreement. Lake County Solar (Griffith, IN) has been online since August 2013. 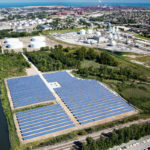 Industrial land that was previously underutilized was redeveloped to support the production of clean renewable energy. Avoids 2,615 tons of carbon dioxide emissions each year (the equivalent of removing over 7,410 cars from Indiana’s roads) over the 15-year term of the power purchase agreement. The 2.5 MW Clarkson Solar project is on land owned by Clarkson University. Developed by Community Energy Solar and acquired by Constellation, an Exelon company for construction and operation. The Lafayette Solar Gardens consist of two 500 kilowatt solar arrays located in Lafayette, Colorado. These projects were the result of a cooperative effort between Community Energy and the City of Lafayette. The 7.1 MW (DC) Marion County Solar project consists of two sites, the 1.9 MW Citizens Liquid Natural Gas site and the 5.2 MW Belmont site. The Dunn Solar, Rose Hill Solar & Franklin Solar projects are a total size of 70 MW DC located in Dunn, NC, Rose Hill, NC and Louisburg, NC. West Vineland and North Vineland Solar facilities supply energy to the Vineland Municipal Electric Utility (VMEU). The Sterling Solar and Berkley East Solar projects are a total size of 6 MW DC located in Sterling and Berkley, MA. The West Pemberton Sola and Jacobstown Solar projects are a total size of 31.5 MW DC located in Burlington and Warren County, NJ. 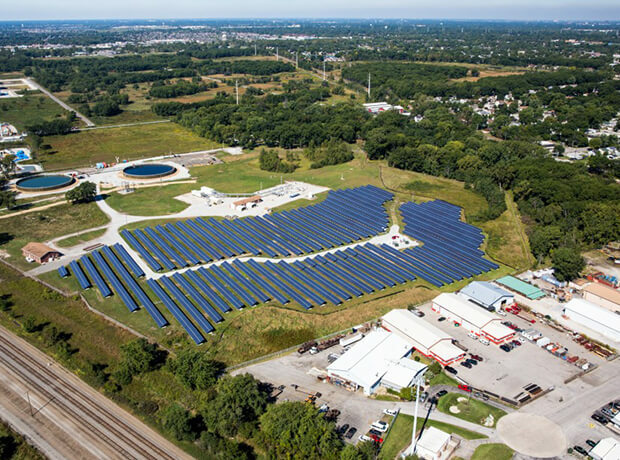 Lake County Solar in both East Chicago, IN and Griffith, IN is a project that avoids 2,615 tons of carbon dioxide emissions each year.